Robert McDonald, former CEO of Procter & Gamble, is President Barack Obama’s nominee to run the scandal-ridden Department of Veterans Affairs. McDonald’s nomination is catching some in the veterans’ community off-guard. Unlike previous VA Secretaries, he’s not a general – though he did graduate from West Point and serve for five years as an Army paratrooper before jumping to P&G. He’s also neither a medical doctor, nor does he have experience administering a hospital; traits that some think would be useful for a person stepping into the nation’s largest health system with 1,700 facilities. Indeed, the case being made for McDonald is that his background in brand management and customer service signals that Obama thinks the main problem at the VA is bad leadership. Which brings us to an interesting question – Is McDonald’s job just to make the VA’s public face more attractive, or is it to get the sprawling department into tip-top, customer satisfaction shape? The answer depends on how much latitude President Obama is giving McDonald to operate. For example, in places like Phoenix where staff and administrators falsified records to get performance bonuses, does McDonald have the authority to fire and hire political appointees as well as career civil servants? Does he have the flexibility to outsource patients to private medical providers in regions where the VA hospitals are overbooked? Senate Republicans should ask McDonald these and other questions during his confirmation hearings. Veterans and their families deserve to know whether the VA’s new chief has the power to be a turnaround artist, or just a place warmer. Oregon’s failed ObamaCare website is so fraught with failure the state is offering to pay employees bonuses just to keep them on the job. After spending over $250 million – and retaining more than $50 million in federal grants – to build an ObamaCare health insurance exchange that failed to enroll a single person, Oregon decided to switch to Healthcare.gov, the federal equivalent. 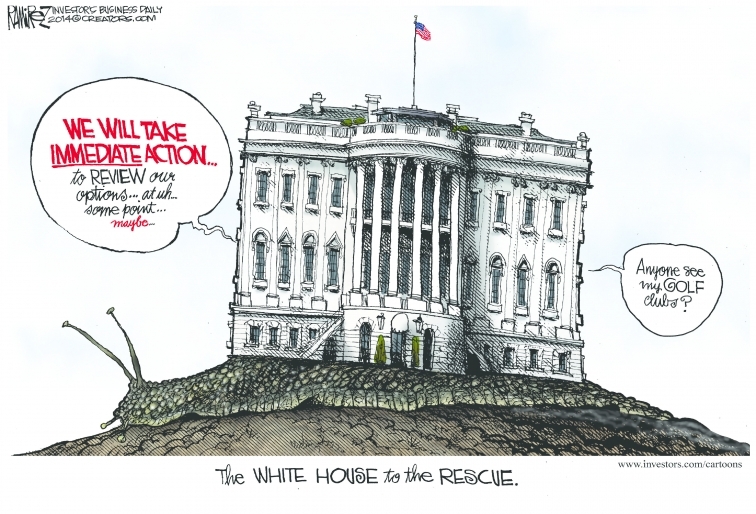 Apparently, though, the crisis isn’t over. Since April, 27 staff members of Cover Oregon have left, taking with them valuable skills that can’t easily be replaced in time to transition to the federal website. To staunch the bleeding, Oregon is making a total of $650,000 in bonuses available to the remaining 163 employees, if they stay on till the end of the job. As I explained in my column this week, state officials are primarily responsible for the costly disaster that is Cover Oregon. This news is just one more reminder that simple, avoidable mistakes by politicians and bureaucrats have huge and prolonged consequences. Isn’t Not “Following” the Law the Same as Breaking It? No one wants to be David Ferriero right now. He’s the U.S. Archivist, the man in charge of keeping all of the federal government’s records for posterity. Apparently though, no one told the IRS. Twelve days ago the agency revealed that it has conveniently lost two years’ worth of emails from Lois Lerner, the former IRS supervisor at the center of a scandal that targeted conservative groups for extra scrutiny. “Any agency is required to notify us when they realize they have a problem,” Ferriero told a House Oversight committee panel. One imagines that an alleged hard drive failure vaporizing thousands of emails qualifies as just such a problem. By law, the IRS is supposed to alert Ferriero within days. He wasn’t notified until earlier this month – about three years after the crash occurred. When pressed, all Ferriero would say is that the IRS did not “follow” the law. He would not say the agency broke the law. It doesn’t matter. The truth is obvious. 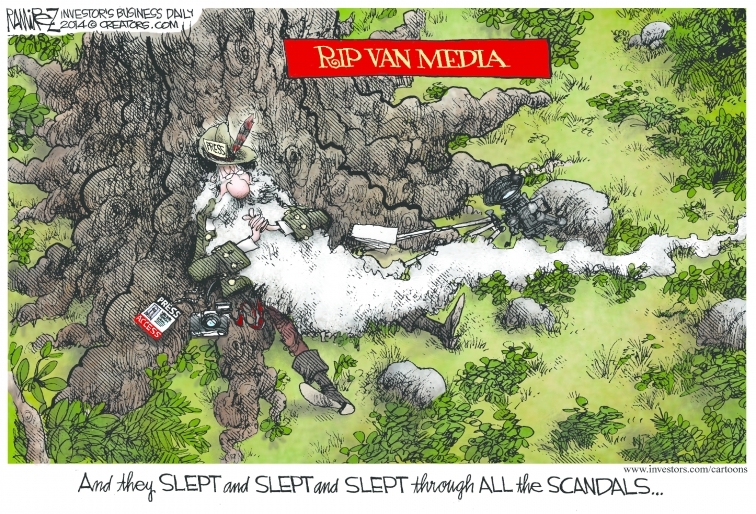 Every new revelation in the IRS scandal only serves to harden the perception that so-called public servants abused their positions. There is a nasty fight brewing between Oregon’s governor and Oracle, the software company the state hired to create its doomed ObamaCare website. Earlier this year Cover Oregon, the state board that contracted with Oracle, decided to scuttle the project after spending upwards of $300 million for a website that failed to enroll a single person. When Oregon nixed the deal in April, Democratic Governor John Kitzhaber blamed the entire fiasco on Oracle, suggesting the state should consider suing the company to recover its losses. But at a House Energy and Commerce hearing last week in Washington, D.C., Oracle hit back. Kitzhaber may face a surprisingly difficult reelection campaign due to the spectacular failure of Cover Oregon. The governor embraced ObamaCare early, so any negative fallout from the law’s poor local performance could sink him. To be fair, though, Oracle isn’t totally without blame. Saying that the website was functional in February when the enrollment period began in October – and ended in March – is hardly prompt performance. Does anyone seriously think that one of Oracle’s private sector clients wouldn’t be threatening legal action under the same circumstances? Whatever the outcome of the ongoing investigation, Oregon’s ObamaCare debacle is sure to cost taxpayers even more money as lawyers, tech consultants and political strategists get their part of a never-ending spending spree. Is it fair that digital radio broadcasters pay royalties for the privilege of playing songs recorded after the arbitrary date of February 15, 1972, but not for pre-1972 recordings? By way of perspective, no fewer than 305 of Rolling Stone’s 500 “Greatest Songs of All Time” were recorded before 1972, including 9 of its top 10. Additionally, 65 of its 100 greatest artists recorded songs prior to 1972, including all 10 of its top 10. Further, the overwhelming majority of artists inducted into the Rock & Roll Hall of Fame also recorded before 1972, as were 83% of the recordings in the Grammy Hall of Fame. Yet due to a legal quirk, digital broadcasters decided they would stop paying royalties for music recorded before 1972, believing that they’re entitled to play them for free. Digital radio stations operate under privilege of federal license to broadcast, but take the position that they need not pay for pre-1972 songs that remain protected under state laws. They profit from playing those songs, but refuse to pay accordingly. Keep in mind that unlike contemporary performers, many of those older affected artists are no longer capable of touring, and sales of their records have diminished over the years, leaving royalties for performance of their songs as their only remaining means of continuing compensation. 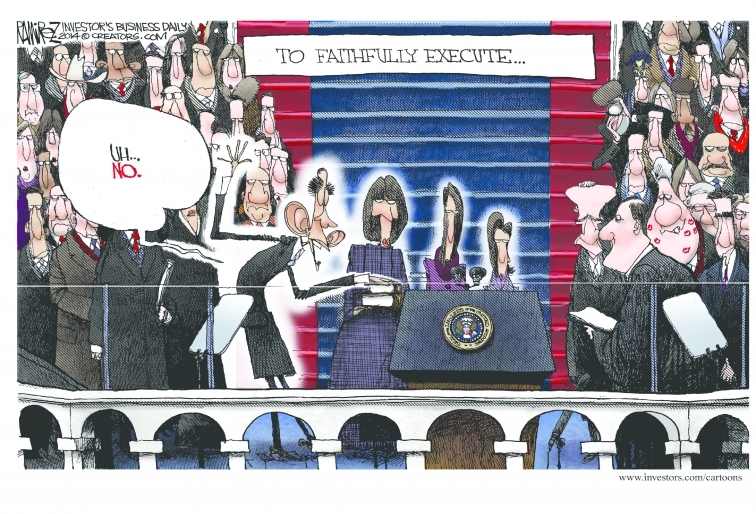 Now, however, some in Congress seek to rectify that unfairness. Representative George Holding (R – North Carolina) has introduced the Respecting Senior Performers as Essential Cultural Treasures Act – the “RESPECT” Act. Under that legislation, digital radio stations that enjoy federal broadcast privileges would finally be obligated to provide royalty payments for songs recorded before 1972, in the same way they already pay for songs recorded after 1972, as a condition for maintaining their licenses. Importantly, the bill does not attempt to rework copyright laws or “federalize” pre-1972 recordings, which would introduce unnecessary legal complexity and confusion. Rather, it explicitly maintains existing protection under state laws. It simply conditions continued broadcasting privilege upon payment to artists for pre-1972 recordings. A long list of musicians, spanning Martha Reeves to Brian Wilson to the Allman Brothers to Al Green have signed on in support of the bill. Digital radio has provided an amazing innovation for which we can all be grateful. Nevertheless, it’s simply unfair for them to attempt to exploit a legal quirk to avoid paying artists for songs recorded prior to the arbitrary date of February 15, 1972. Congressman Holding is therefore to be applauded for his effort, and Americans should contact their Senators and Representatives to voice their support. 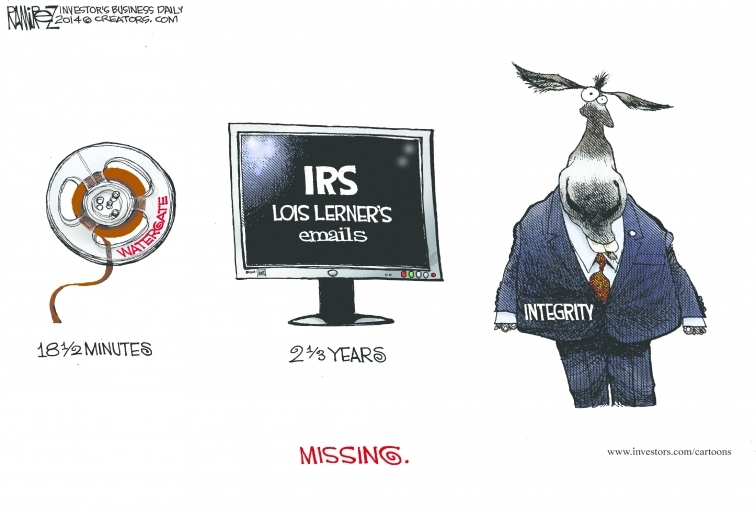 At a House Oversight Committee hearing last night, IRS Commissioner Koskinen was on the hot seat regarding the “lost” emails of Lois Lerner and other employees implicated in the IRS targeting scandal. The tough line of questioning by Congressman Trey Gowdy (R-SC) is a must see. 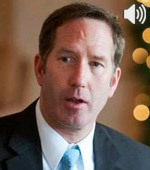 5:30 CDT/6:30 pm EDT: Steve Soukup, Vice President and Publisher of The Political Forum and Fellow in Culture and Economy at the Culture of Life Foundation – Immigration. 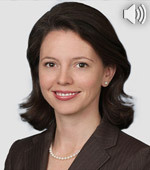 In an interview with CFIF, Megan Brown, a partner in Wiley Rein’s Litigation, Appellate and Communications practice, reviews several recent Supreme Court decisions and cases, including Greece v Galloway (town prayer) and McCullen v. Coakley (“buffer zones”), some First Amendment cases presently before the DC Circuit, and a percolating and timely establishment clause case in the Second Circuit over the World Trade center cross. Alert: Hey Obama, Hands Off the Internet! In an interview with CFIF, Daren Bakst, Research Fellow in Agricultural Policy at The Heritage Foundation, discusses the massive food costs of the new school lunch requirements, major declines in student participation, food waste, lack of flexibility and First Lady Michelle Obama’s criticism of the House of Representatives for considering a one-year reprieve for certain schools. From the squalid conditions in the VA to Obama skipping the traditional Memorial Day ceremony at Arlington National Cemetery to go on vacation, CFIF’s Renee Giachino laments the lack of respect afforded the U.S. military by this administration. Timothy Lee, CFIF’s Senior Vice President of Legal and Public Affairs, discusses net neutrality and the misguided push to have the federal government regulate the Internet. Diane Ravitch is calling on fellow liberals to oppose Common Core. The NYU education policy expert wants Congress to investigate how Bill Gates bought off various groups to support his Common Core initiative, and whether Gates colluded with Education Secretary Arne Duncan to ram through implementation. First, consider who wrote Common Core. “The writers of the standards included no early childhood educators, no educators of children with disabilities, no experienced classroom teachers; indeed, the largest contingent of the drafting committee were representatives of the testing industry,” Ravitch writes at the Huffington Post. Ravitch’s commentary is just the latest in a long line of bipartisan populist backlash over the top-down imposition of Common Core. Voters don’t have much of an opportunity strike back at the elites who are pushing this, but they can remove politicians who support the switch. As Ravitch’s piece shows, opposition to Common Core is quickly becoming a rallying cry on both the right and the left.